Skip the ordinary. Stay Different. Have the vacations that others only dream about! 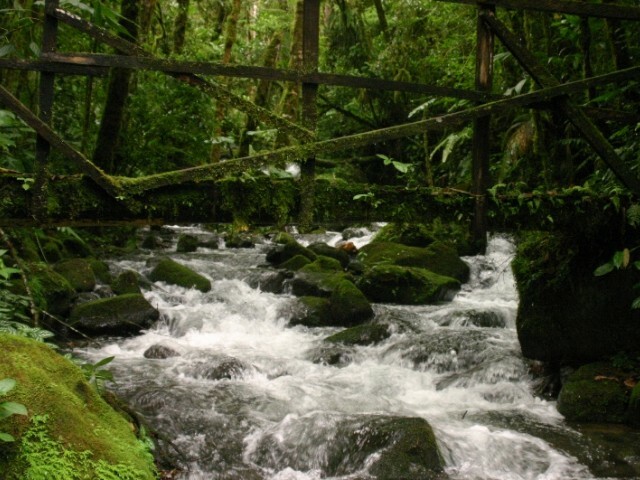 EcoTreat is an ecologically focused cloud forest retreat, located in La Amistad International Park reserve (PILA). 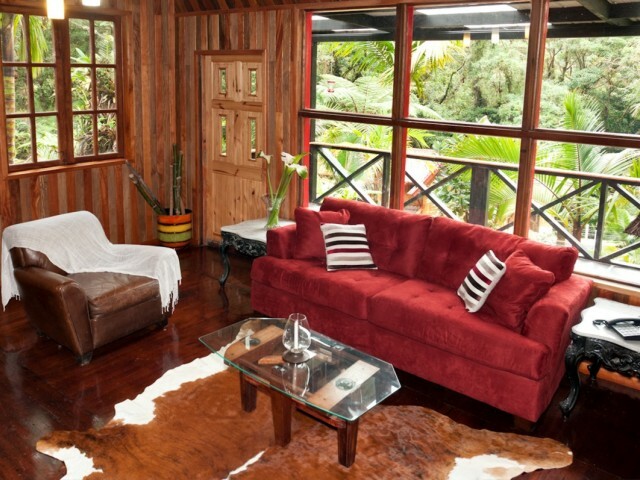 Our facilities consist of two comfortable cabins and an efficiency apartment unit, nestled in the coolness of the Chiriquí Province highlands of Panama. At an altitude of more than 8500 feet, in EcoTreat we also offer several types of expert guide services for guests who desire to take hikes through EcoTreat’s rustic mountain trails. In EcoTreat we try to ensure that your stay in our eco-cabins - built entirely from naturally felled trees and local materials - is a peaceful and relaxing one. Located within the sparsely populated forest reserve, EcoTreat’s nearest neighbor are the cabins of Los Quetzales Lodge, hundreds of meters below on the road to EcoTreat. Our accommodations have been recently entirely refurbished with the comfort of our guests in mind. EcoTreat offers its visitors the satisfying opportunity of immersing themselves in the luscious serenity of a remote, densely forested corner of PILA. Powered by renewable energy sources, our facilities offer warm comfortable bedding, free internet, sauna and an eclectic décor of recycled furniture and artwork. EcoTreat’s list of guests include diplomats, Discovery Channel executives, International Bird Rescue, The Nature Conservancy, Sierra Club, Audubon Society, Smithsonian Tropical Research Center research scientists, and members of ‘The Eagles’ rock band. All attracted by the pristineness and comforts of EcoTreat. Within our 106 hectare property boundaries you will find natural waterfall trails and a bountiful display of flora and fauna, all accessible via special guided tours or ‘walk alone’ hikes. Our office is located near the town of Cerro Punta and the cabins are a quick 4×4 climb from there, taking you to more than 8,500 feet above sea level, close to the Continental Divide. Cabins and guest studio are equipped with fireplace, linens, kitchen utensils and dishware, hot water…and wireless internet, to keep you connected to the outside world. 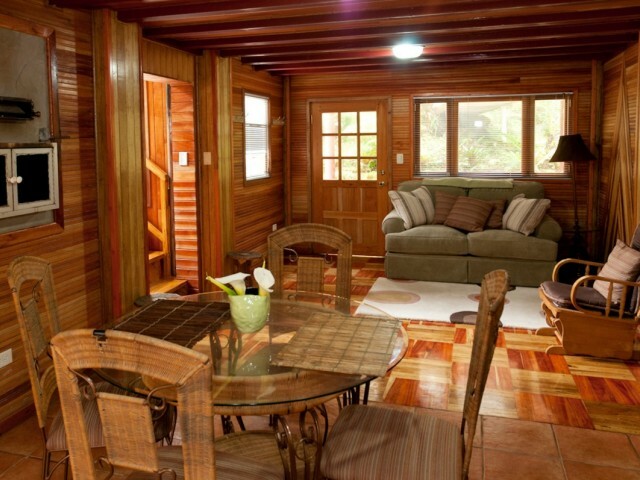 EcoTreat yourself to a stay in the serenity of PILA’s pristine ecological splendor!